Designed as an applicator for topical lotion or gel which can be dispensed through the massager’s rollerball head for mess free, targeted application. Lightweight and easy to use, the Easy Applicator allows you to apply as much or as little pressure to the area of pain or tension as you require. Try it out today! You will be glad you did! Click on your area of pain to the right to choose the correct product to help you treat your specific problem area. 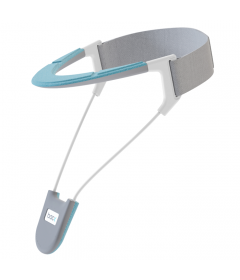 Our neck brace has been designed to give your neck a rest, while providing discreet support, and with all the support of a traditional neck brace. Your head places around 12Ibs of pressure on your neck when it is in a good position and considerably more when we are looking at our computers, tablets or smortphones. The bac< Neck Brace is available in 6 different colors. Many of us will suffer from shoulder pain at some point In our lives, and of those that do, half are likely to have on-golng symptoms. Due to lifestyle factors, our shoulders can gradualy become more hunched and rounded, generating bad posture and pain. The bac< Easy Applicator has been designed to help relieve aches and pains in the neck, shoulders and back. It can be used dry or with relief gel/cream and allows you to reach all areas of your back with ease. Additionally, the Shoulder Brace has been designed to help improve your posture, prevent slouching and support your spine. Back pain effects nearly all of us at some point in our lives, whether it is from an injury, age or a medical condition. Throughout the day we put our back through a great deal of bending, twisting, lifting and carrying. Even how we sit and stand also has an impact. Doing all of these in a poor posture can cause injury, stress on our joints, and incur pain. Our Shoulders Brace/Posture Brace has been specifically designed to help support the middle of your back and shoulders, helping to keep you in a posture friendly position. It can be used for both poor posture prevention and posture improvement. With todays more sedentary modern lifestyles, many of us don't hove enough muscle tone to support our spine, causing poor posture and injuries which leads to aches and pains. Free Shipping on all orders over $75! Available in the US continental 48 states. The unique Easy Applicator is ideal for applying your favorite topical gel or cream to those hard to reach places while applying pressure exactly where you need. Easy to use & refill! Designed specifically for the lateral neck area (zone 2) to relieve shoulder and upper back pain, the Easy Applicator can be used on all areas of the back. With a specifically curved handle, the unique Easy Applicator allows you to apply as much or as little pressure to the area of pain or tension as you require. Self-controlled, with no additional power needed, the Easy Applicator gives you the ability to massage yourself at any time without the need for a second person. Ideal for deep tissue massage! Designed as an applicator for topical lotion which can be dispensed through the massager’s rollerball head for mess free, targeted application. Today massage is frequently used for the treatment of both acute and chronic conditions. It can also be used as part of a preventative care program for sports training, injury prevention, ongoing stress management and many more. Stress reduction- One of the immediate benefits of massage is that is provides you with a feeling of relaxation and calm. Improve concentration- Massage has been shown to improve your sleep quality which in turn gives you more energy, reduces your body’s fatigue and improves your concentration levels. It feels great!- Massage in general is relaxing. Even deep tissue massages can be relaxing once all of your knots have been released. How to use your Easy Applicator together with your favorite topical gel or cream. 4. Squeeze your gel or cream directly into the the applicators head. The Massager will hold .2 oz (6ml) approx. We recommend using .03 -.06 oz (1-2ml) per use per area (approximately a teaspoon). The more areas you are applying, the more gel you should use, but do not overfill. How much gel or cream can I use at a time? How many times can I use the Applicator? Can I use the Easy Applicator over clothes? IN STOCK FAST & FREE SHIPPING! Support your neck, relieve pain and improve your posture with our innovative Neck Brace. Developed in conjunction with the London Spine Clinic. Cool Pad included for additional pain relief. Developed in conjunction with the London Spine Clinic. Lightweight and discreet, the revolutionary Posture Brace with soft-spine feel, pulls the shoulders back and straightens the spine to instantly improve your posture. We want you to be completely happy with your purchase, which is why we offer a 30 Day Money Back Guarantee across our product range. Endorsed by the London Spine Clinic on Harley Street, all of our products have been designed to improve posture and relieve back pain. But rather than take our word for it, try any of our products for 30 days to see what benefits they can bring you! 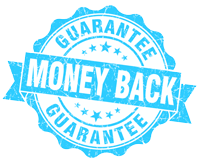 Within 30 days if you are not 100% satisfied with your purchase, then you are fully protected by our Money Back Guarantee. Just return your item(s) back to us and we will refund the original cost that you paid for the product or exchange if you would like a different size/item if equal value. All we ask is that you return the item back in its original packaging and be careful to avoid any damage.